DENVER— Ninety of the world's top pro cyclists from 20 countries are headed to the Rocky Mountains for the 2018 Colorado Classic, as race organizers today released initial men's rosters for the Aug. 16-19 stage race that include several top performers from the Tour de France, world champions and some of the sport's most exciting past winners, up-and-comers and Colorado favorites. Former Best Young Rider and 4th-place finisher in the 2016 Tour de France Adam Yates (GBR) of Team Michelton-Scott; 2015 team time trial world-champion and 2012 Giro d’Italia stage winner Taylor Phinney (USA) of Team EF Education First-Drapac presented by Cannondale; and last year’s Colorado Classic runner-up and stage-winner Sergei Tvetcov (MDA) of UnitedHealthcare Pro Cycling team, headline the list of riders expected for the second Colorado Classic professional cycling race in Vail and Denver. "It's always great to race in my home state. I love the energy you get on the roads at home — people shouting for you, friends from all over the state coming together to see us race,” said Phinney, a Boulder resident who will race in the Colorado Classic after riding in his second Tour de France. “There's definitely a neat vibe on the Colorado roads that feels unique. It's special because it also feels like a home race for the entire team, since our roots are here. I'm looking forward to it, for sure." and Daniel Martinez (Team Education First-Drapac) who finished third overall in this year’s Amgen Tour of California. and Ty Magner (Rally Racing) who won the U.S. Pro National Championship Crit title earlier this year. and Boulder native Peter Stetina (Trek-Segafredo) who has notched stage wins in the Giro de Italia and the Tour of Utah and was 5th overall in last year’s Colorado Classic. Tvetcov’s UnitedHealthcare teammate Travis McCabe will be another returning threat. The 2017 National Criterium Champion was the Sprint leader in the 2017 Classic as well as the runner up in Stages 1 and 4 and third place in Stage 3. Fan-favorite and free-spirited Taylor “TJ” Eisenhart from Holowesko/Citadel p/b Arapahoe Resources is returning this year after his fourth-place overall finish last year. Rounding out the men’s field are the Rwanda National Cycling Team, including Jean Bosco Nsengimana, who earned a glowing spot on the cycling radar after his huge breakaway through Garden of the Gods in Stage 1 of the 2017 Classic. Following last year’s launch of the Colorado Classic and Velorama — a companion three-day celebration of bikes and music in Denver’s RiNo neighborhood that includes the start/finish line of Stages 3 and 4 of the Colorado Classic — this year’s race has become a “must-do” for teams and their riders on the competitive world racing calendar. Jim Birrell, Colorado Classic race director with Medalist Sports, promises four days of nonstop acton and seriously tough competition. “After the success of last year’s race, we stepped up to the challenge of delivering an even better field in 2018,” he said. “It’s going to be pretty wild. I’m so excited for this race,” said Jelly Belly’s Keegan Swirbul, who won the GoPro Mountain Games Road Bike Time Trial this June on the same Vail Pass Time Trial course on tap for Stage 2 of the Colorado Classic. “That is a course that every cycling legend of the last half-century has ridden. We are opening the door for a new generation of riders to add their mark,” Birrell said. Initial rosters for the 16 teams for the Colorado Classic’s women’s race will be released next week. The Colorado Classic is a four-stage race in Vail and Denver August 16-19, 2018. The race is sanctioned by Union Cycliste Internationale (UCI) and designated as a 2.HC race, the highest category outside of World Tour races. 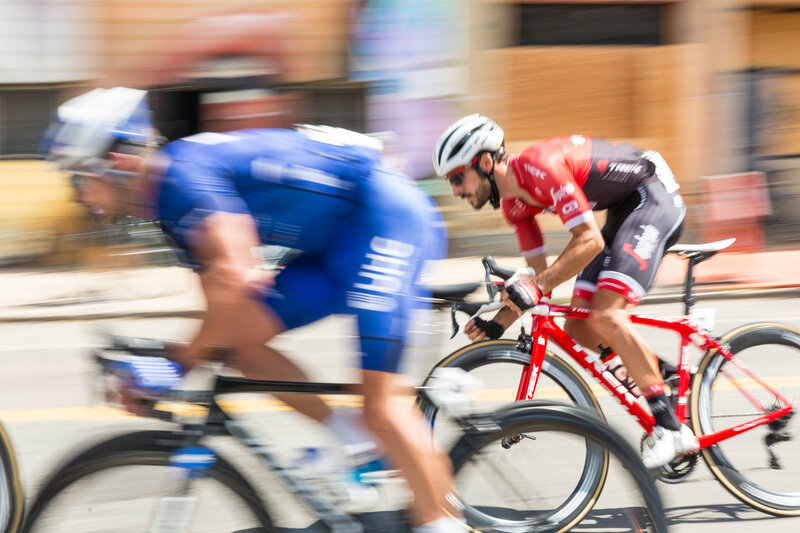 Both the men’s and women’s races are part of USA Cycling’s Pro Road Tour, which showcases the premier domestic road events in the United States.